If you know anything about summer nights in Texas, you know that they are HOT and humid! 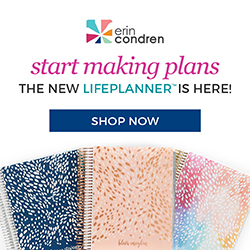 That means I have to make a few changes to my routines — especially when it comes to my makeup. I have to make sure it doesn’t budge without feeling like I have a ton of makeup on. 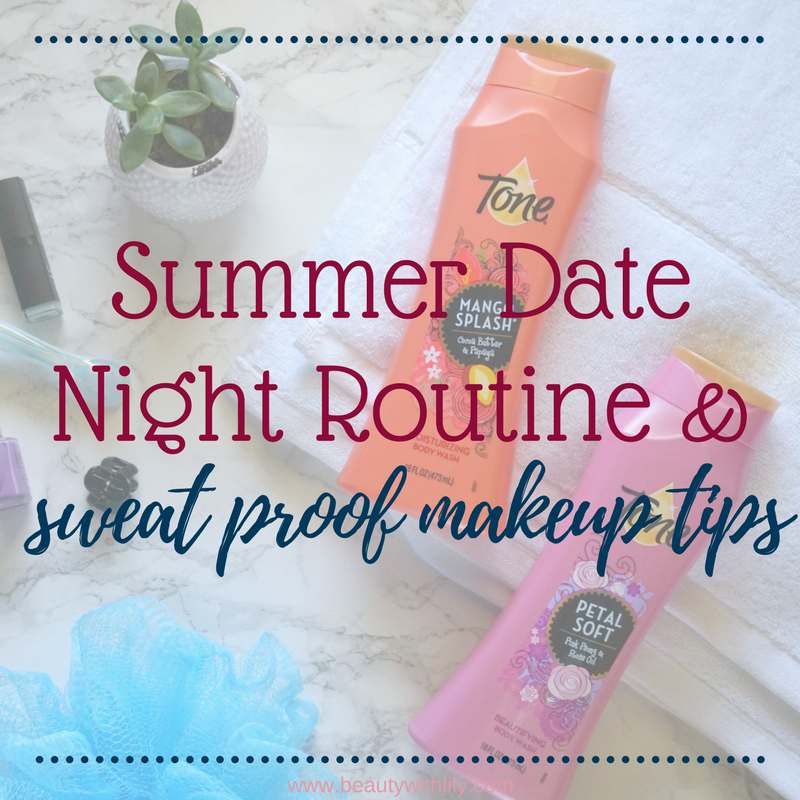 So for today’s post, I’m sharing my summer date night routine, along with a few tips on how to sweat proof your makeup. Because nobody has time for a slippery makeup mess. I always begin any type of getting ready routine by blasting my favorite playlist on Spotify and jumping into the shower. And because it’s hot and humid out in Texas this time of year, I rarely reach for perfumes so I prefer to use a body was that has a fun and flirty fragrance, that actually lingers. 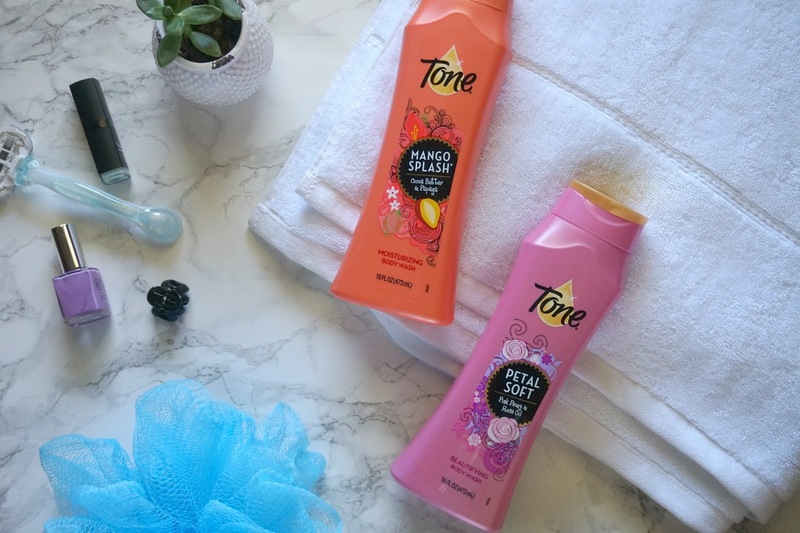 For the last few months I’ve been using the Tone® Body Wash in Mango Splash and it smells divine, literally like a vacation in your shower — which by the way totally makes me want to vacation somewhere tropical! I love this scent so much, I bought the jumbo size with the pump. 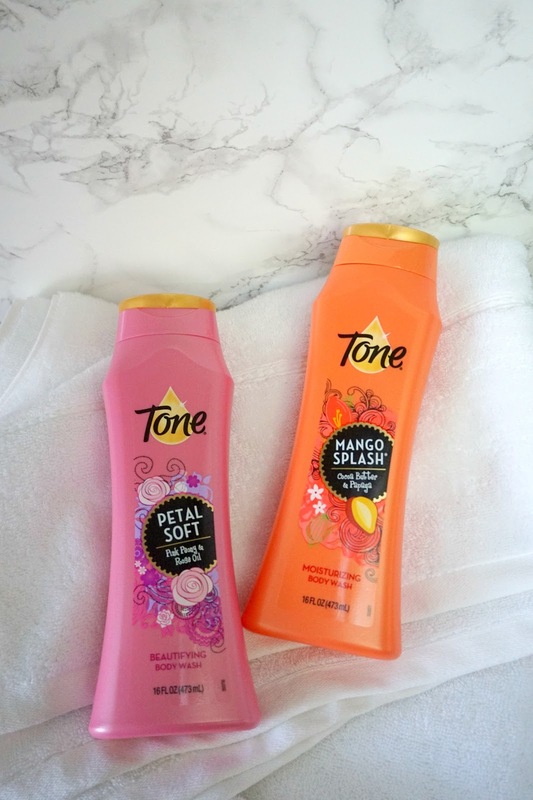 #HowITone: I like to explore the rainbow of scents Tone offers, I like to use Petal Soft to feel luxurious and relaxed, and Mango Splash to wake me up and get me energized. 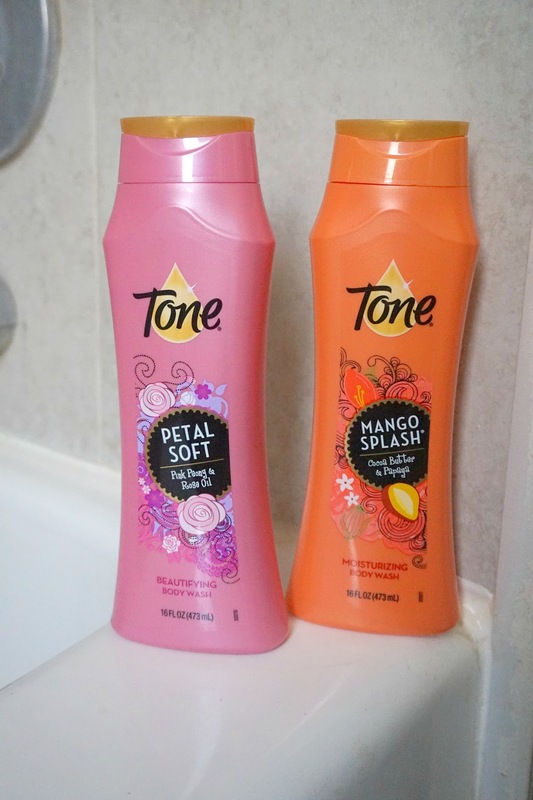 You all know that I love to save money, right now you can earn $2 when you buy 2 Tone body washes using the IBOTTA app! 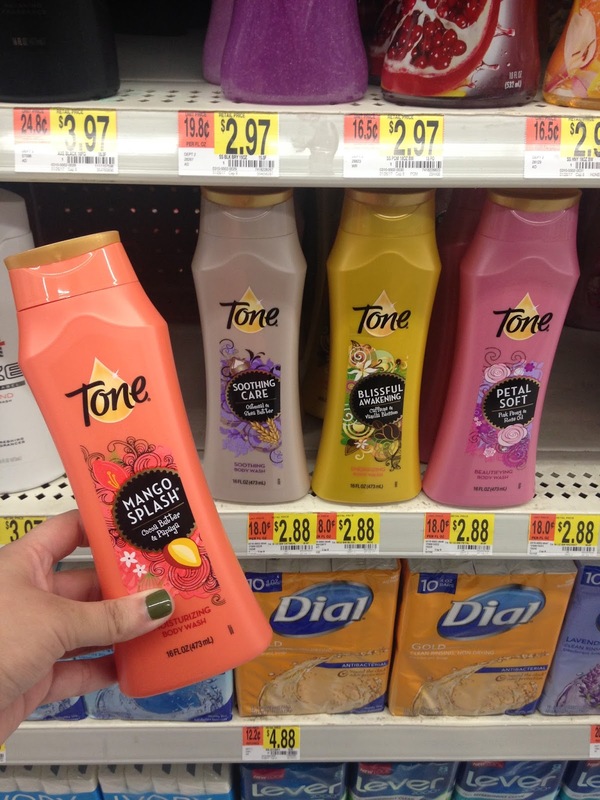 PS — You can find Tone® Body Washes at your local Walmart. After my shower routine, I move on to my skincare and makeup look. 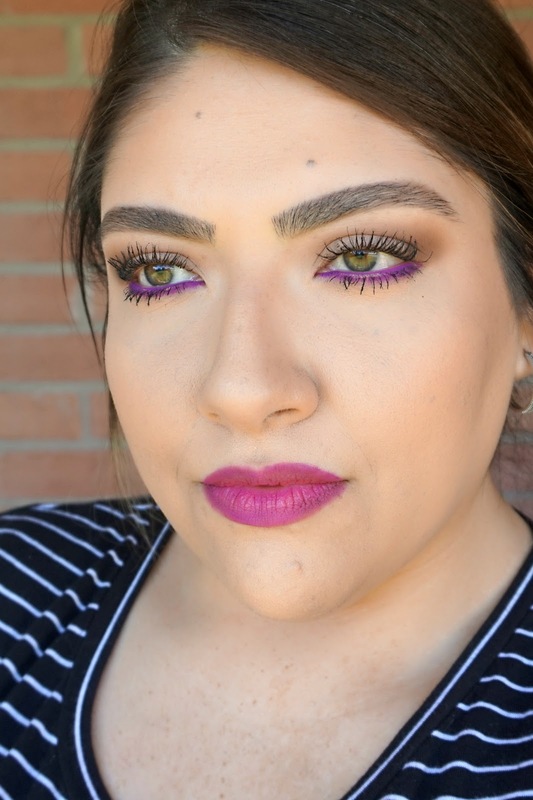 For this particular date night I wanted something bold and colorful, but not too crazy. 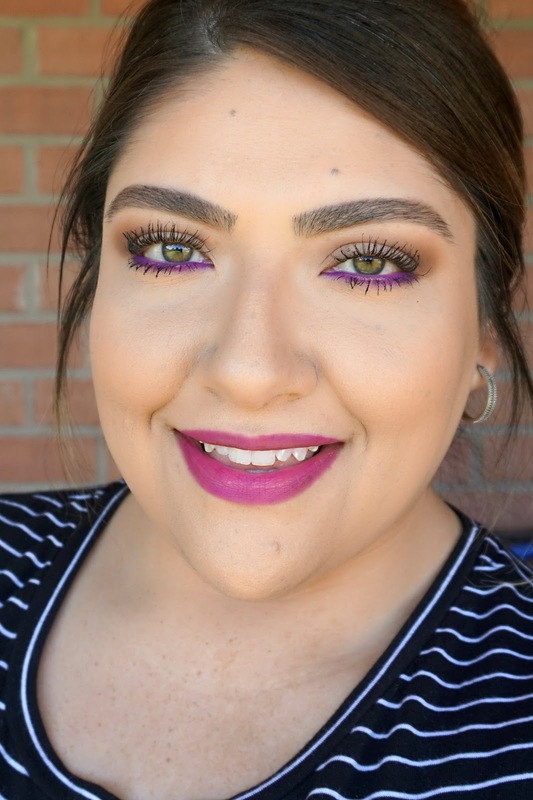 I went with a pop of violet on the lower lash line, along with a violet lip stain. 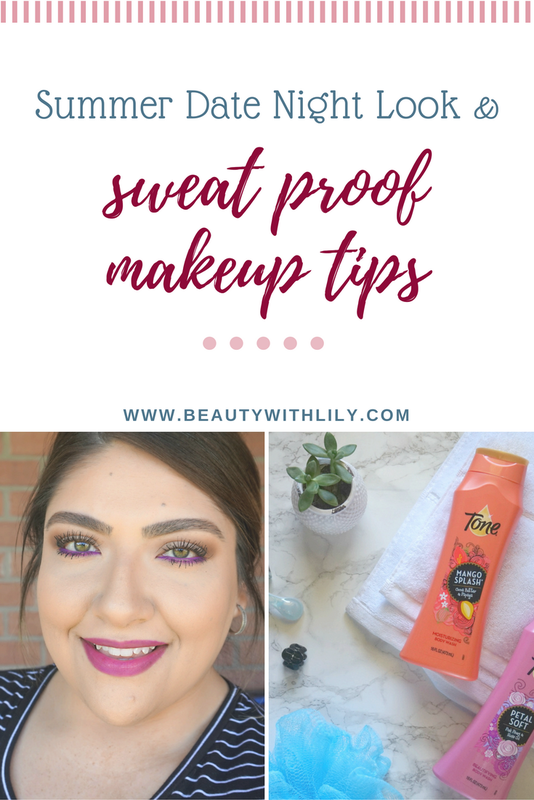 Sometimes if it’s nice and shady outside, we like to sit out on a patio and enjoy our dinner — but even in the shade, it’s still so hot here, so I have to make sure I go with my sweat proof makeup routine — I’ve shared some of my tips down below. Lastly, I quickly fix my hair and put together an outfit. My routine is pretty much the same for any date night, depending on where we go. 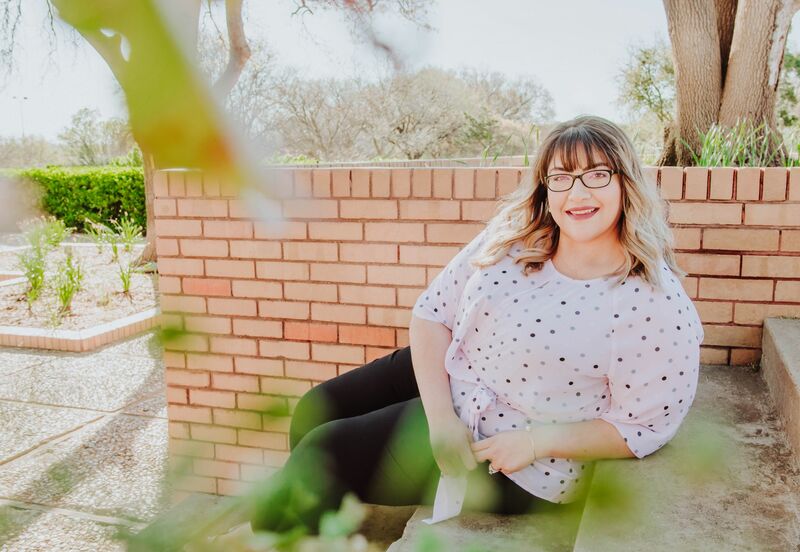 Avoid products that are oil-based — go for oil-free makeup products in order to avoid makeup slipping off of your face in the humidity. Opt for a mattifying primer — especially if you tend to get oily. Layer makeup products — begin with a cream blush and top it with a powder blush, giving you that extra wear time. Reach for a lip stain or tinted lip balm — it’s already hot enough, so a heavy lipstick probably isn’t the best choice, but a light stain would be perfect. 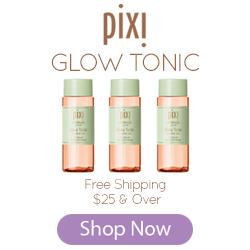 Lock it all in place — with a good oil-free, long lasting setting spray. Keep up with Tone by following them on Instagram or Facebook. 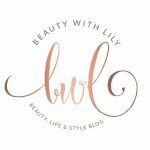 Now that you know #HowITone and prep for a summer date night, I’d love to know how you get ready too! And don’t forget to save this for later, pin the image below! "Classic Bridal Makeup Look With Artis"